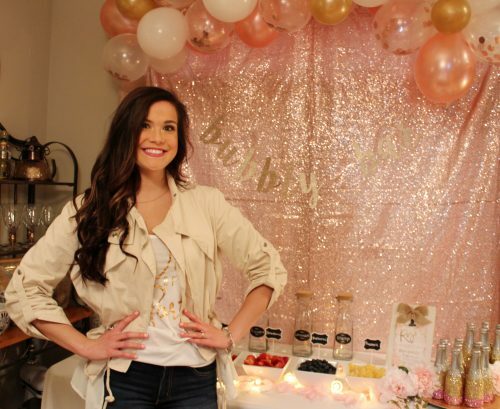 This past weekend I threw my baby sister’s bachelorette party! After lots of planning, decorating, and coordinating, I could not have been happier with how it all turned out. 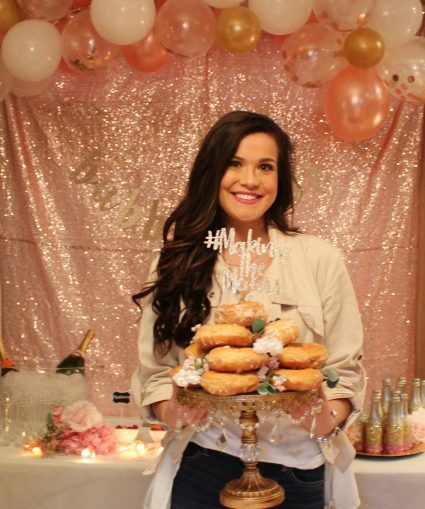 Her wedding color is blush, so we went with a ‘Rose all day bachelorette party’! 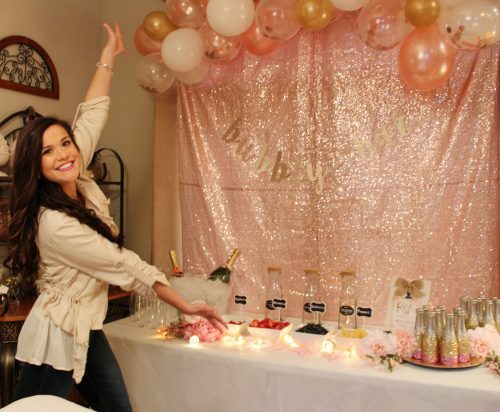 Her one demand (okay, actually she had a lot of demands) was a bubbly bar. Thanks to lots of searching on Pinterest I was about to find all of the inspiration I needed to pull it together! 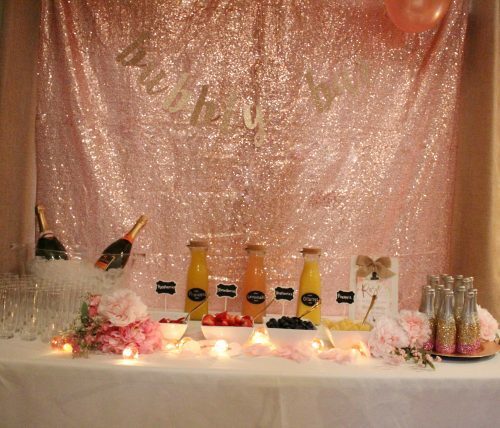 I knew we wanted the bubbly bar for mimosas to be the highlight of the party. 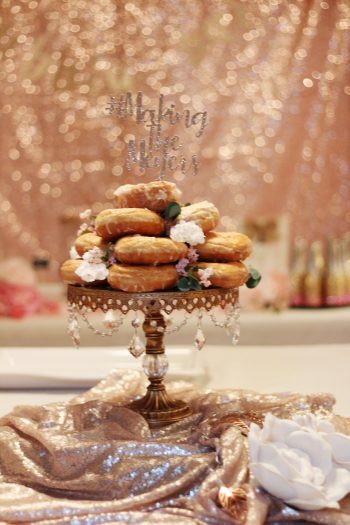 After some online searching, I found a blush sequin backdrop on Amazon. Balloon garlands are my absolute favorite, so I also grabbed this pack of balloons to create one! 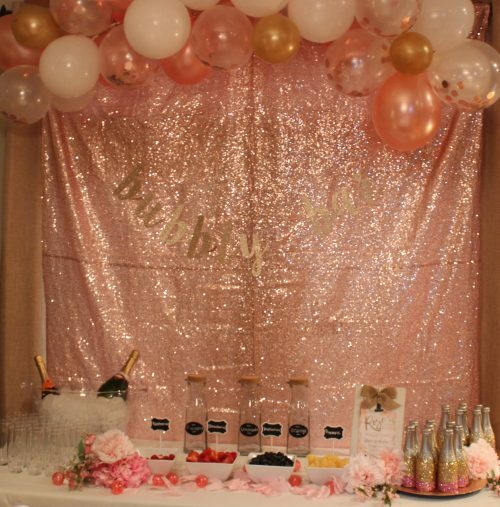 It went perfect with the ‘bubbly’ bar because balloons=bubbles! 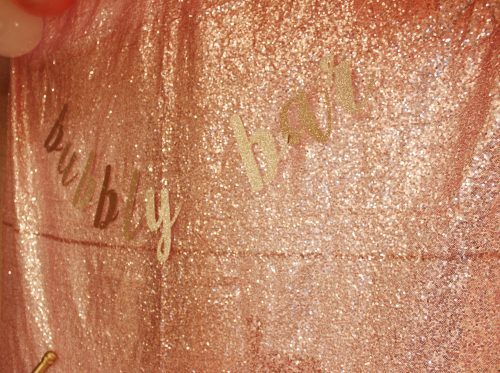 The gorgeous glitter ‘bubbly bar’ banner is from one of my all time favorite Etsy shops, Glitter Party Co. You can see them at our other parties here and here. We filled carafes from the Target dollar spot with orange juice, pineapple juice, and strawberry lemonade. 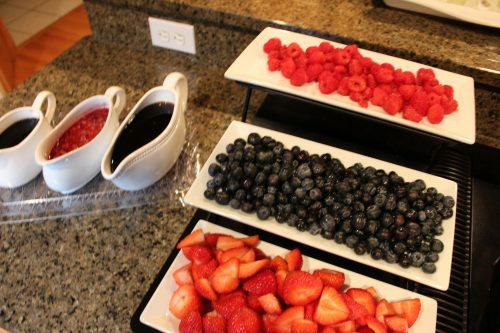 Then, we placed out strawberries, blueberries, raspberries, and pineapple for garnish! Super easy, and so pretty! 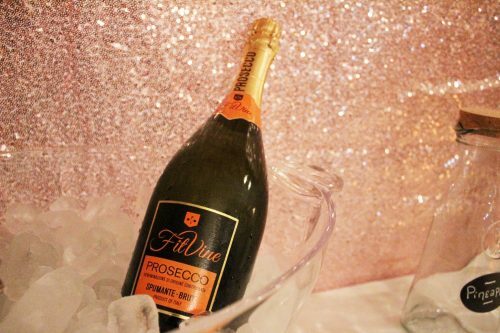 We featured Prosecco from my favorite wine company, FitVine Wines. 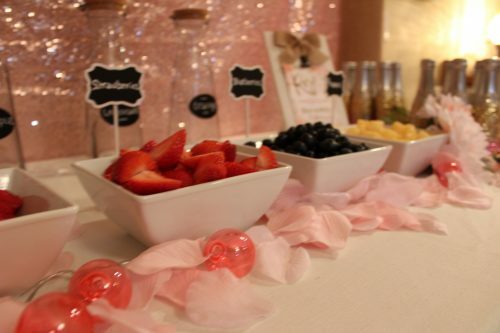 It was delicious, and a fun addition to the bubbly bar! 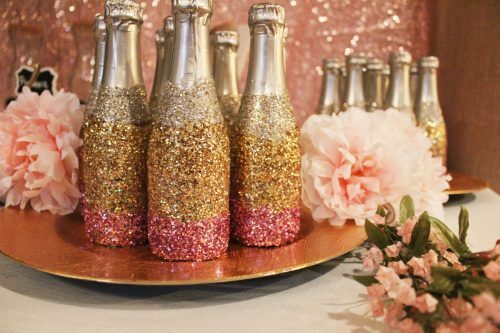 For party favors, I gave each of the girls an ombre glitter mini champagne bottle. They took me a LONG time to make, but were 100% worth it. I never want to actually open mine, it is just too pretty 😉 I just did layers of modge podge, and mixed glitter so the colors blended with each band and flowed into each other. They most important step is to use a spray adhesive or modge podge on the top layer so the glitter stays intact and off of hands! 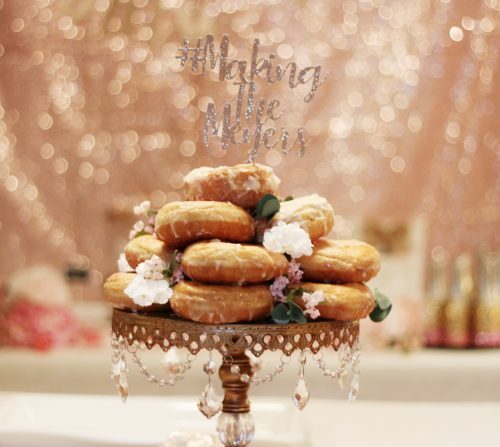 Another favorite from Glitter Party Co. is this cake topper! 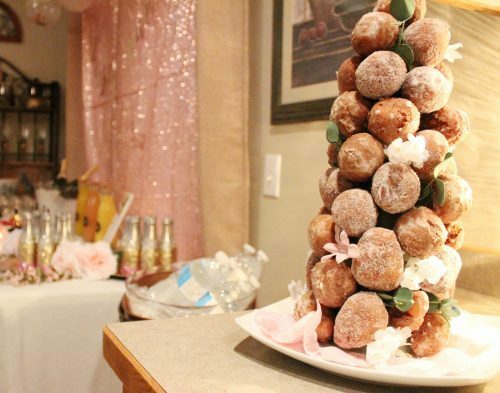 I knew immediately I wanted it on top of the donut tower. 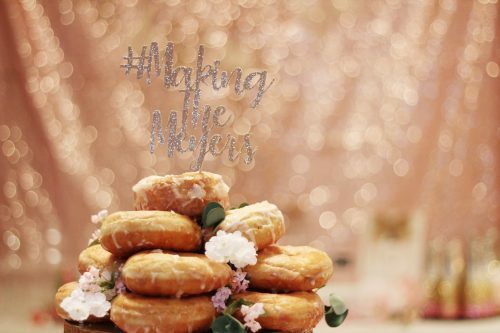 It is their wedding hashtag, and one of my favorite details from the party. 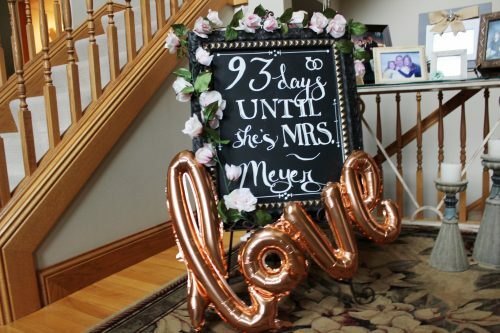 I just love personalized things like this, and am always so thankful for how Glitter Party Co. brings my ideas to life! I was so excited to make these fun shots. Apple spice donuts are TOTALLY in season, so I made ‘Apple Jacks’ shots! 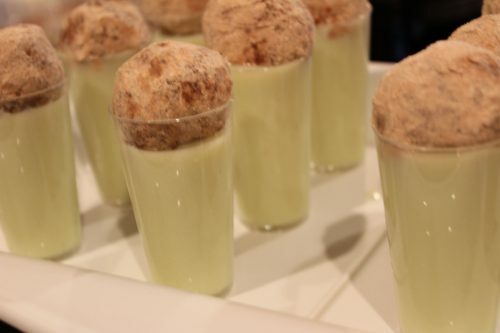 They were half sour apple pucker, half Rumchata, and then topped with an apple spice donut! 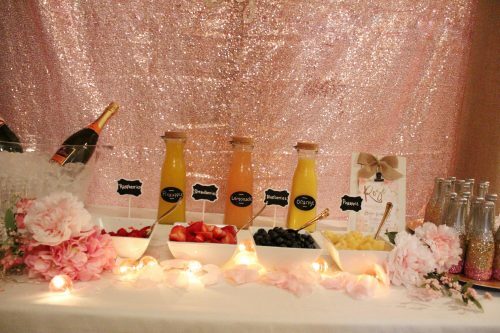 Perfect for a Rose All Day kind of party! 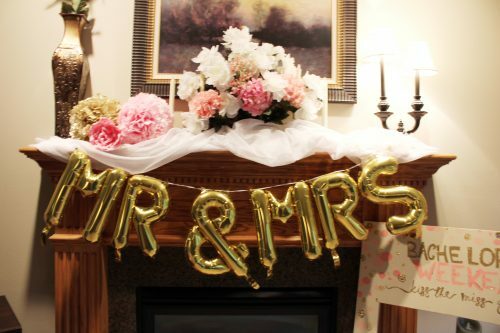 The Mr. and Mrs. balloons are from Target and were perfect on the mantle! All of the florals can be found at Hobby Lobby. 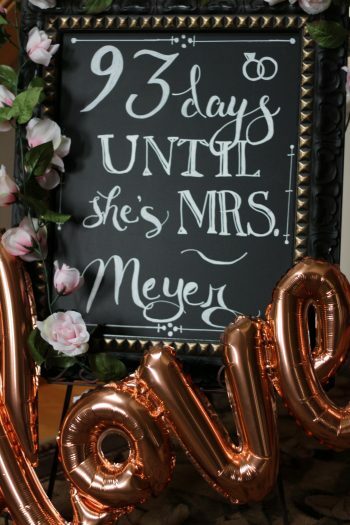 My mom hand drew this countdown chalkboard! I think we are going to swap out the numbers at a few other events this fall to get more use out of it! The LOVE balloon was off of Amazon and can be found here! One of the bridesmaids offered to bring her waffle iron, and let me tell you, it was one of the HIGHLIGHTS of the party. 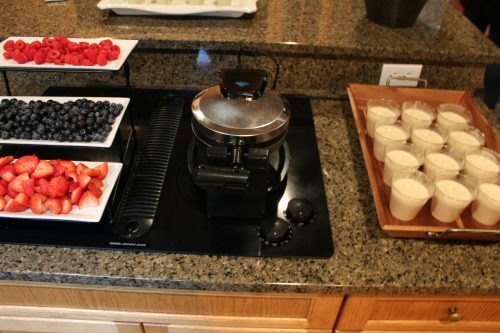 All of the girls had so much fun making their own waffle and garnishing with lots of different toppings. 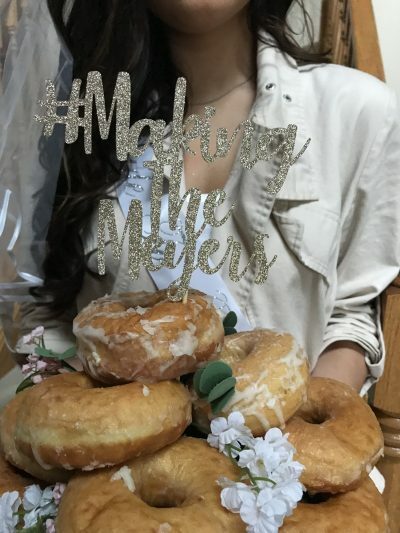 I wasn’t sure how it would turn out, but it was the perfect addition to the party and I am so thrilled she had the idea. And if you were wondering, YES, I did make Mike go buy a waffle maker the next day. 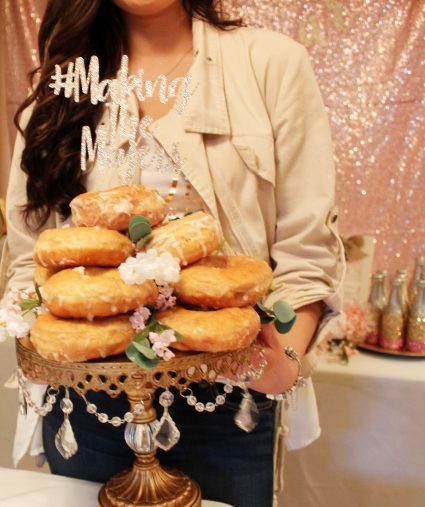 This photobooth frame was a labor of love (and another one of my sister’s demands, haha). She sent me a Pinterest picture a few months back, and I went to my father in law right away. He has an entire wood shop in his shed, and we pulled together materials and he whipped up the frame in about twenty minutes! From there, I took it home and applied a few layers of ivory paint. I hand drew the letters (which is why they aren’t perfectly straight, whoops!) and all of the small dots, and then doused the whole thing in LOTS of gold glitter. It took awhile to make, but I just love how it turned out! Every single girl got to take a photo with my sister, and it can always be repainted and used for other parties! 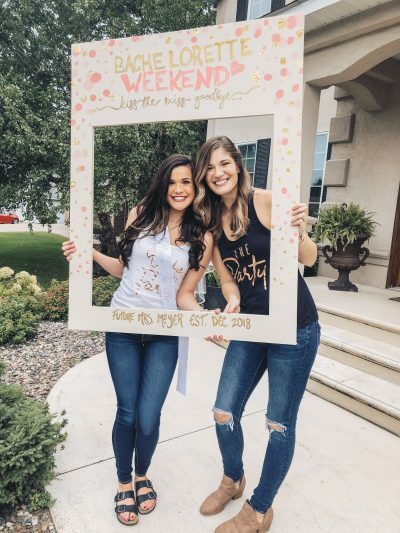 Our bridal party tanks are from Etsy, and can be found HERE. They were so easy to get because each person ordered their own and we didn’t have to worry about bulk purchases. Plus, the can be done in lots of color combinations! My future brother in law’s little sister made the jeopardy board below and it turned out to be PERFECT. It was more than I could have asked for! While we thought we pulled together relatively easy questions, we had guests stumped and the game got plenty heated. 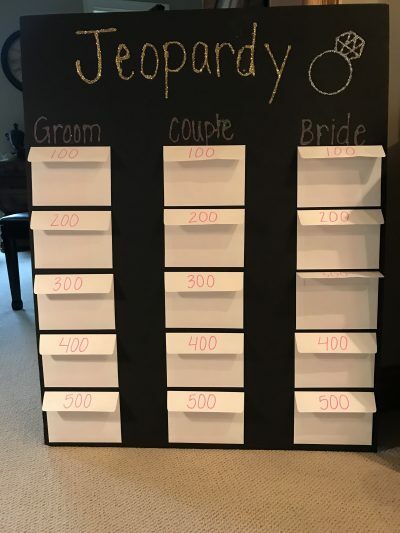 I think it was my favorite bridal party game we have every played! After the luncheon, we spent the afternoon at a winery, and came home to get ready before heading out on a party bus. 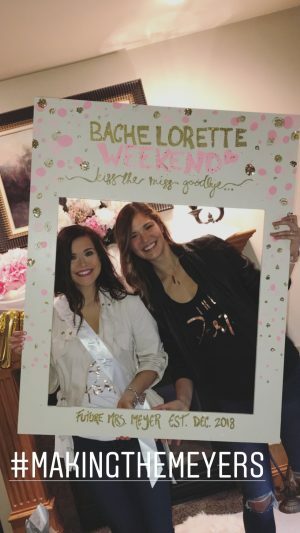 It was coed and merged the bachelor and bachelorette parties, and everyone had so much fun! Of course, I was ready for bed before we even left at 8pm 😉 But in maid of honor fashion, I stuck it out to the very end. I was so thrilled with this rose all day party. My sister has told me about twenty times it was her dream party, and I couldn’t be happier to know how much she loved it. And with that, I think I am retiring from hosting bachelorette parties and baby showers for at least a few years. Whew!